Thirty-eight-year-old Anush Nazarian still remembers the night several years ago that a neighbor, distraught over her husband’s gambling losses, jumped to her death from her 10th-floor apartment. “The whole neighborhood was shocked. None of us ever thought that one day gambling may come so close to us,” recollected Nazarian, who lives in a large suburb of the Armenian capital, Yerevan. During the Soviet era, casinos or gaming parlors did not exist in Armenia: gamblers had to roll the dice on the sly. Today, gambling opportunities are everywhere in this poverty-stricken South-Caucasus state; and addiction to games of chance is wreaking financial havoc among many families. A lack of adequate-paying jobs is one of the largest sources of disillusionment for many Armenians. Officially, unemployment stands at 17.3 percent , but independent estimates are much higher. Over a third of the country’s population of just over 3 million people lives in poverty, according to government statistics. Average monthly wages amount to only about 113,163 drams, or $273.53. Many Armenians feel compelled to head abroad as labor migrants, in order to support their loved ones. Against this backdrop, Yerevan’s brightly illuminated casinos exert a powerful attraction, creating the illusion of a respite from everyday concerns. Ads hint that savvy gamblers can attain a luxurious lifestyle straight out of Hollywood. “People go to casinos and gaming parlors because they fancy they will have luck and get rich,” Khudoian commented. A similar phenomenon exists in Armenia’s economically hard-pressed northern neighbor, Georgia. Now, two Armenian MPs are trying to address the social consequences of problem gambling by developing legislation that would restrict access to casinos. 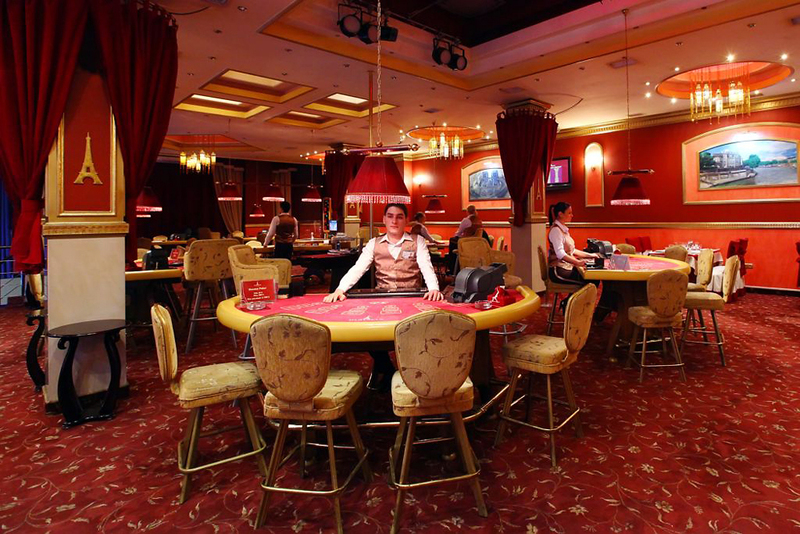 A set of proposed amendments to Armenia’s gambling law would ban people under the age of 21 from entering a casino and allow for court orders to ban individuals whose gambling can be shown to cause financial hardship to their families. A third measure would allow casinos to deny entrance to individuals at the gamblers’ own request. Restrictions could last from six months to three years, and would apply to all casinos in Armenia. The amendments are expected to be submitted to parliament’s Economic Affairs Committee for discussion during the National Assembly’s June 9-12 session. Media accounts often attribute reported suicides -- up by 3.8 percent in 2013 to 768 cases, according to official statistics -- to gambling losses. No studies have been done to substantiate such claims. The potential impact of the new gambling-related legislation is not straightforward, given that gaming has become a significant source of revenue for the government. In 2013, Armenia’s state budget received “7-8 billion drams” ($16.9 - $19.3 million) in tax revenues and license fees from gambling establishments. Even while deploring gambling addictions, few politicians are likely to want to see that revenue stream dry up. Looking to problem-gamblers to cut themselves off from casinos might also appear a risky bet. Here, though, the powerful pressure Armenian families can exert on relatives is expected to have an effect. Psychologist Khudoian agrees. “It will work in Armenia as well,” he said.